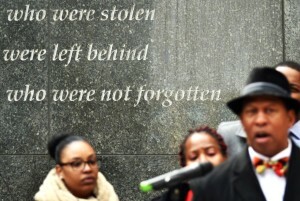 NEW YORK — As New Yorkers went about their busy day in the City Hall area on Saturday, a group of community-minded citizens, led by NYC Council Member Andy King, stood in a moment of silence for a purpose. They called for New York City to recognize March 5th as “Three-Fifths Clause Awareness Day” and for the federal government to negate the 3/5 Clause language in the U.S. Constitution. “Bringing awareness to the Three-Fifth Clauses is of importance to understanding the current day plight of African-Americans in New York City, said CM King, who will be proposing two legislations in the City Council next week. 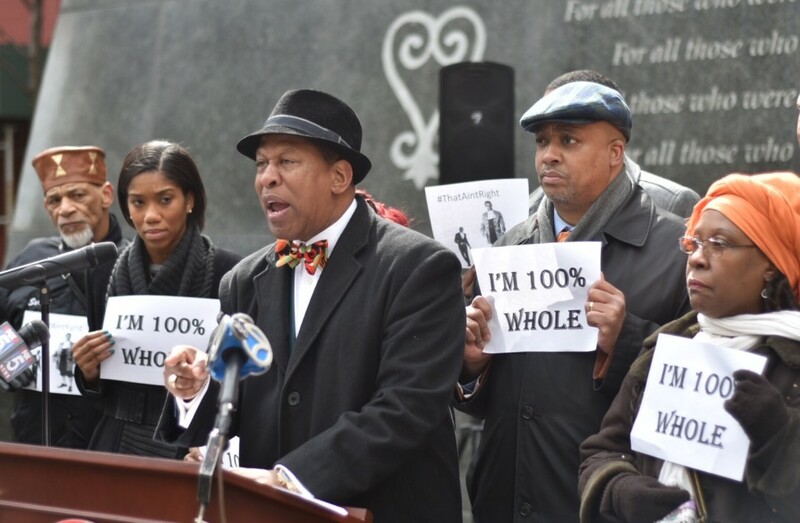 He organized a news conference at the African Burial Ground National Monument Outside Memorial Area, in City Hall area, where he was joined by Ebony Meeks Laidley, Congress Member Gregory Meeks; Vince Morgan, the Black Institute; Jerome Rice, President of NAACP Co-op City branch, Jay Morrison of Jay Morrison Academy, members of 1199 Women and many others. In U.S. history, the Three-Fifth Clause (Article 1, Section2, of the U.S. Constitution of 1787) was demanded by Southern supporters of slavery as a way of increasing their congressional representation and political power. They wanted slaves to be counted as full persons but settled on three-fifths. People of African descent would have had no real rights either way. However, the “three-fifth clause” language was never removed from the Constitution. One of Council Member King’s legislations calls on the federal government to add an amendment to add language that directly negates the Three-Fifth Clause by stating that African-Americans are 100 percent whole individuals. “The systematic disenfranchisement of enslaved African Americans for hundreds of years created a system of sociopolitical inequality, the effects of which are still felt today. 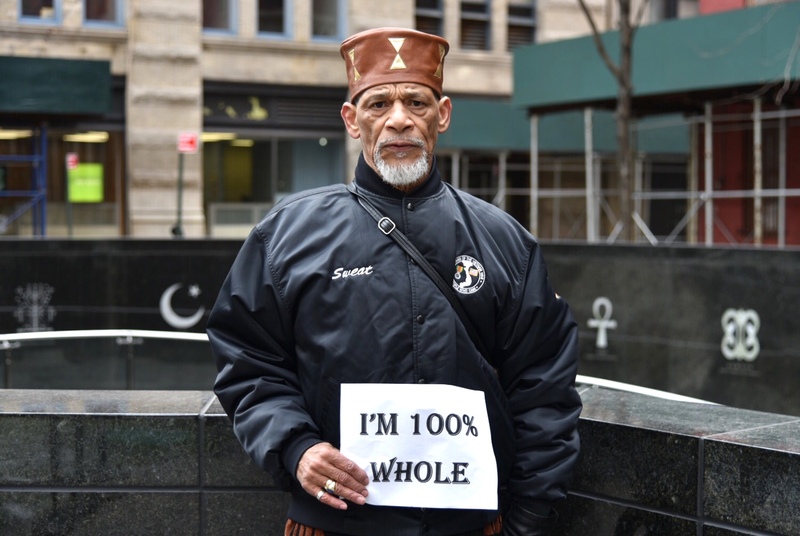 Subliminally, some members of society do not respectfully embrace African-Americans as whole human beings, equal to anyone in education, inventions, finance and wealth-development, politics and much more,” said Council Member King. Congress Member Gregory Meeks expressed the importance of the Three-Fifths Clause Awareness Day.